10mm splinter-free green polypropylene rope sold cut to length by the metre. Please enter the length you require in metres in the quantity box. 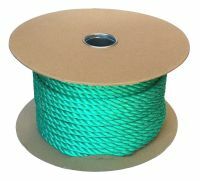 Your 10mm green poly rope will be sent in one continuous length. If you want more than one length please order the total and then indicate your requirements in the customer comments box at checkout. 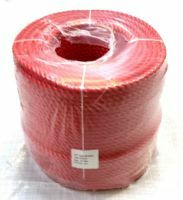 Hard wearing, strong and rot proof rope for general purpose use at home, business and leisure. 3 strand yarn construction for a superior green rope from Ropes Direct.